I work with many global companies determined to grow global business leaders. When I ask them “What does that mean?” they frequently say “We don’t know.” That’s why I developed this tool – to be a working definition of the competencies of global business leaders for companies that don’t have their own. 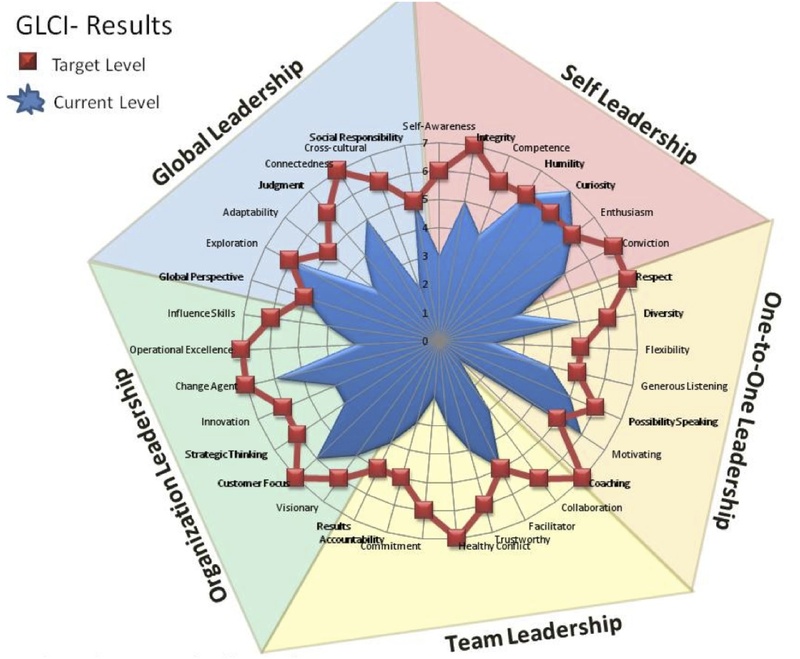 The Global Leadership Competence Instrument (GLCI) is a self-assessment tool to support your growth as a global leader and manager. What will it take for you to become the kind of global leader you admire? YOU decide, and this tool can help. The Global Leadership Competence Instrument (GLCI) enables you to define excellent performance as a global leader and manager in YOUR business context, and measure yourself against that definition. Rank yourself on 35 factors in 5 leadership areas culled from the thought leadership literature on what it takes to be a truly effective global leader. 1. Power Point Overview and Scoring Guideline. 2. Excel Spreadsheet to automatically graph your results. Please send a PayPal payment of $19.95 to kimberly@wiefling.com to purchase the GLCI, or oder through my publisher here. Note: Academics and HR Leaders wishing to preview the GLCI can contact us to obtain a complimentary copy. 1.The Leadership Challenge, Kouzes and Posner, Jossey-Bass; 4th edition (August 3, 2007). 2.The Five Dysfunctions of a Team, Lencioni, Jossey-Bass; 1st edition (March 19, 2002). 4.Developing Global Executives, McCall and Hollenbeck, Harvard Business School Press; 1st edition (January 2002). 5.The Global Business Leader, Brown, Palgrave Macmillan; 1st edition (November 2, 2007). 6.Developing Executive Talent: Best Practices from Global Leaders, Smilansky, Jossey-Bass (January 29, 2007). 7.The DNA of a Global Leader, Keys and Wellins, Training and Development, ASTD Publication, March 2008. 8.Global Explorers: The Next Generation of Leaders, Black, Routledge; 1 edition (August 1999). 9.Good to Great, Collins, Collins; 1st edition (October 16, 2001). 10.First Break All the Rules, Buckingham and Coffman, Simon & Schuster; 1st edition (May 5, 1999). 11.Time to Think, Kline, Cassell Illustrated (November 30, 1998). 12.Leadership Without Borders, Ed Cohen & Tom Rath, Wiley (June 15, 2007). 13.Which CEO Characteristics and Abilities Matter?, Steven N. Kaplan, Mark M. Klebanov & Marten Sorensen, Preliminary Draft (2007). Kimberly is a physicist by training, is active in SDForum and other technical organizations, authored the “Scrappy” Project Management books, is a skilled and engaging facilitator, and is also funny and refreshingly entertaining. Thank you for inspiring me to be the leader I aspire to be. You are a great model of the courageous leadership philosophy in action. You provided me so many gifts yesterday. I feel like a large weight has fallen from my back. I’m smiling and feel better about having some direction, thank to you!